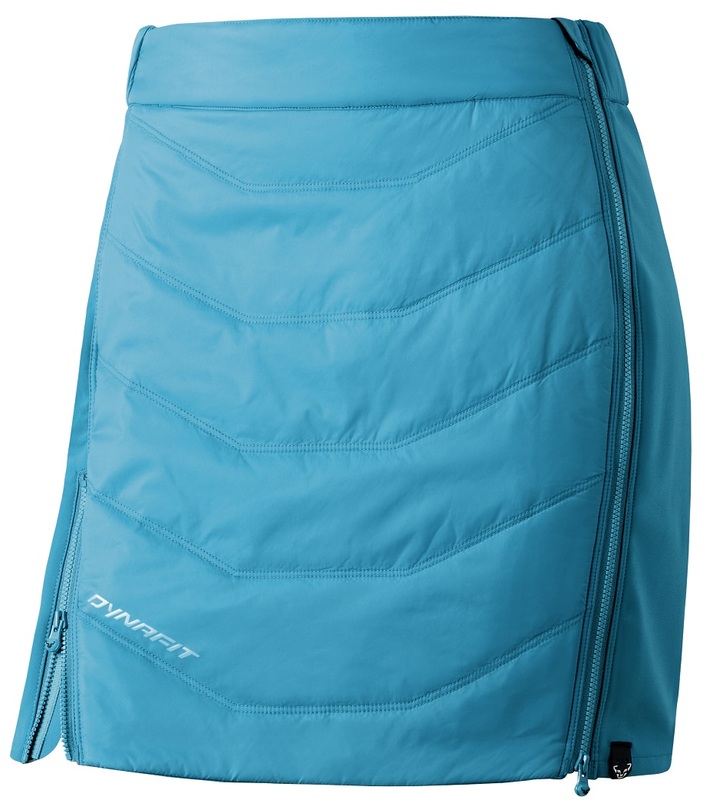 The Dynafit Radical skirt is so functional that guys are tempted to wear it. Featuring a full wrap of Primaloft insulation, the skirt can be zipped on and off over a race suit or touring pants. Perfect for before and after races, the comfortable moisture-blocker is also nice to have on casual tours when taking a break or just getting warmed up. And when you hit the wind on the ridge? Pull out the skirt and enjoy the wind-block. 100% nylon shell is water repellent and windproof, two good friends in the backcountry. Stormwall lateral stretch inserts allow active movement so it actually can be used. Primaloft Silver Sport 60g insulation traps your warmth (aside from the big opening). A stow pocket helps with stowage and an adjustable waist helps with fit. Notes Primaloft and stretch materials keep you warm without sacrificing movement. Bottom Line Great for on the hill, and on the town.